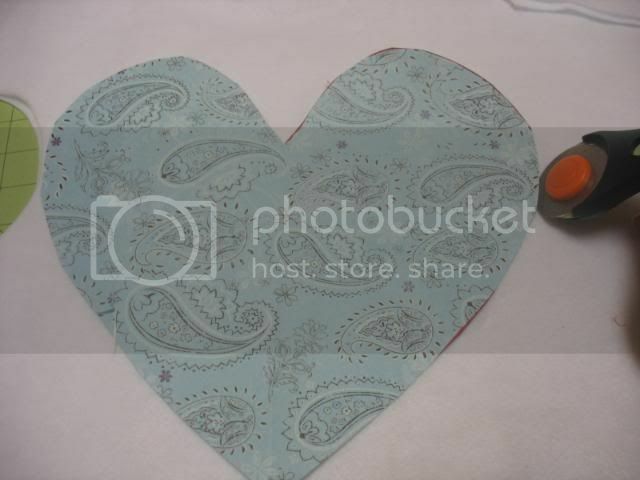 I whipped up this table runner to coordinate with the Valentine's Day pennant I made last year. Since I set the goal to create more tutorials this year, I've included pictures and directions. Unfold and cut it out along line. 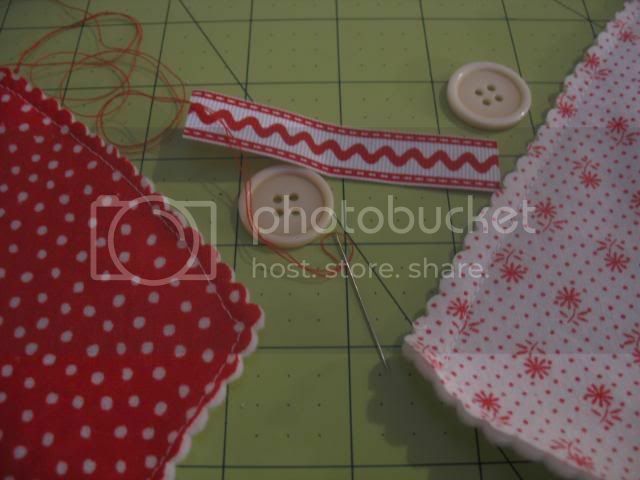 Lay pattern on top of two layers of white felt and cut out using scissors or rotary cutter. Repeat until you have 6 white hearts cut out. 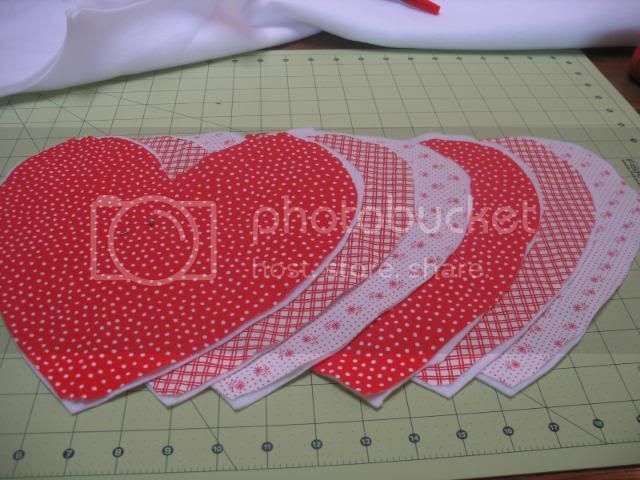 Now, cut out your red and white fabric hearts. 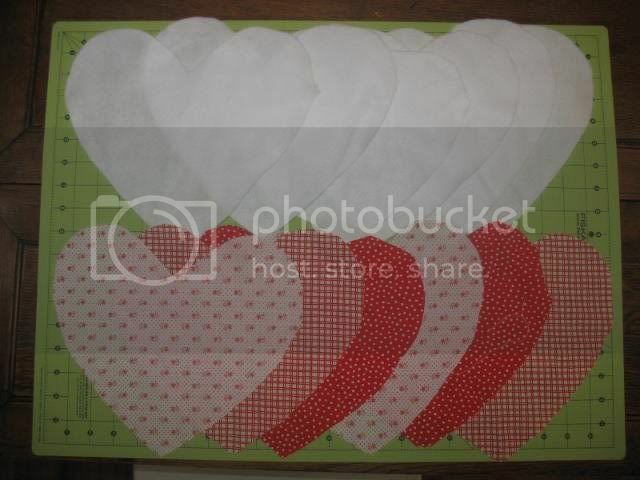 See, you have 6 white hearts and 6 red/white hearts. 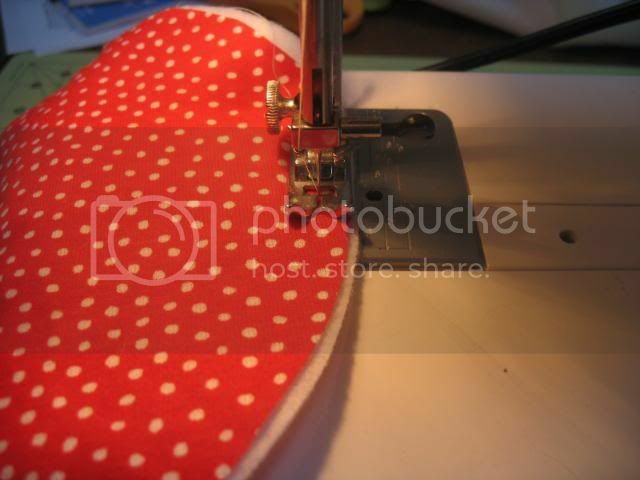 Now, place a red/white heart on top of a white heart and pin with the right side facing up. I only do one pin in the middle but you can do a few if that makes you feel more comfortable. Don't stress if the sides don't perfectly match. We'll take care of that later. It's time for some sewing. 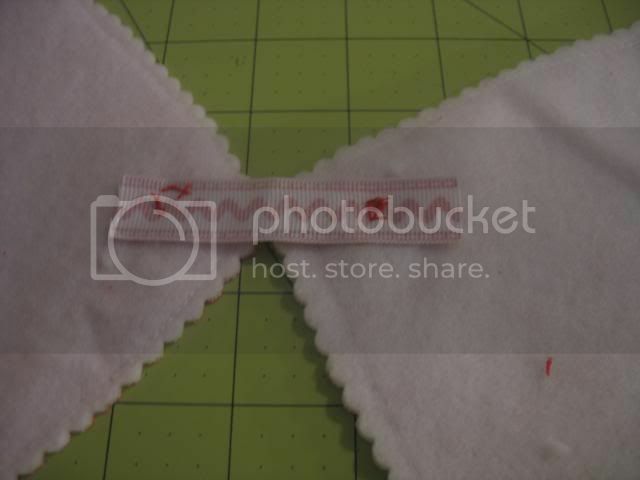 You can see how the felt is totally wider than my red fabric. So, I'm using my top piece as my guide. 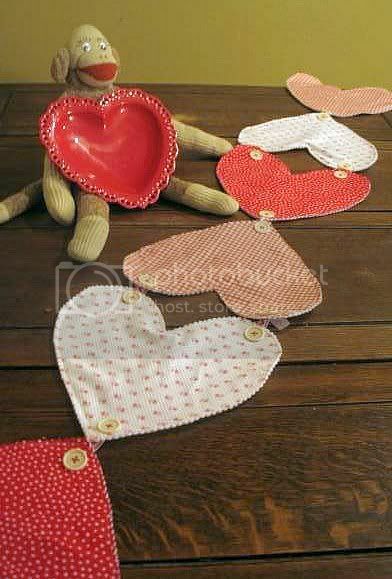 Sew all the way around the heart. I use about a 3/8 inch. Don't go smaller but you can go a little wider. Do this for all 6 of your hearts. 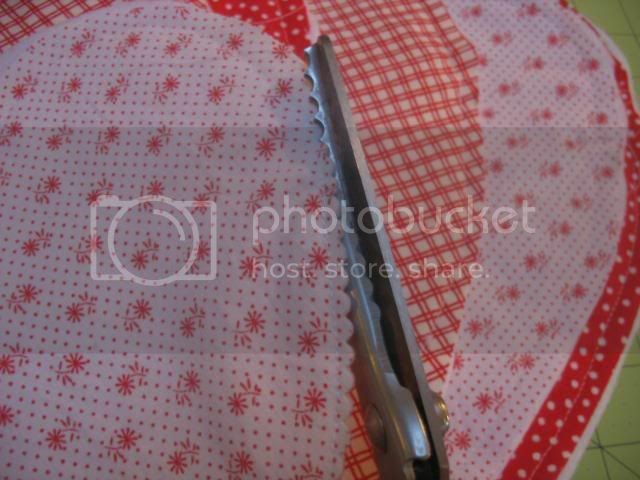 Using your pinking sheers, cut all the way around the outside of your heart. 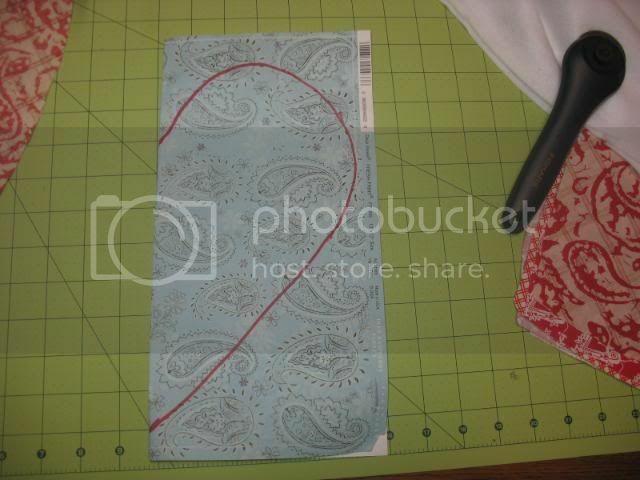 The width from the stitching doesn't matter as long as you don't cut your stitches. Now, let's attach our hearts. 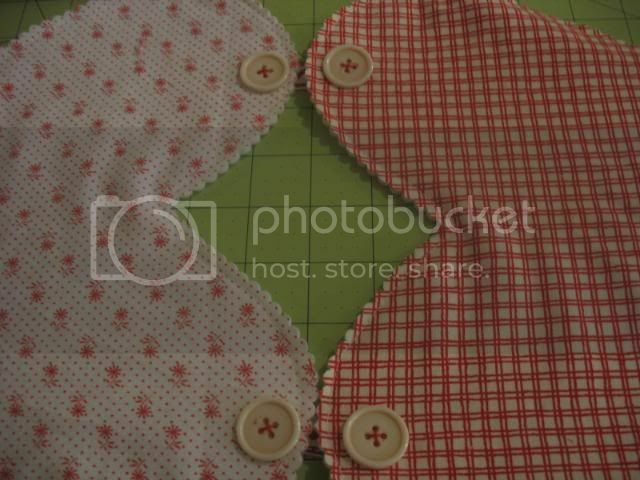 Using a needle and thread (I used red thread) you are going to connect the hearts with a ribbon on the back and buttons on the front. You'll do this pointy ends (of the heart) together and then rounded ends together. 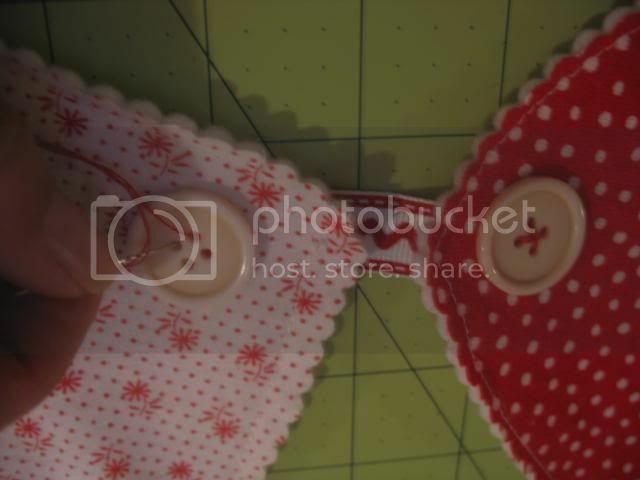 I used 3 inch long strips of 1/2 inch ribbon but you can use wider or more narrow ribbon if you like, depending on the size of your buttons. This is a picture of the back. This is how the rounded edges are attached. Attach all the hearts and you are done. You can make it longer or shorter. Just remember to do an even number of hearts. Enjoy! Thanks for visiting my blog today. Thank you Tip Junkie for featuring me. And, welcome Craft Critique Valentine's Day Carnival visitors. Please leave me a comment and say, "hi." You may also enjoy my new pink candy tutorial. OK... I adire this. It is just too cute for words. 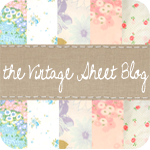 Maybe I could make one - If I can manage to excavate the sewing machine from the craft room. This is fabulous! You are so clever. I'd never have thought to string it together like you did. Very clever. So Cute! 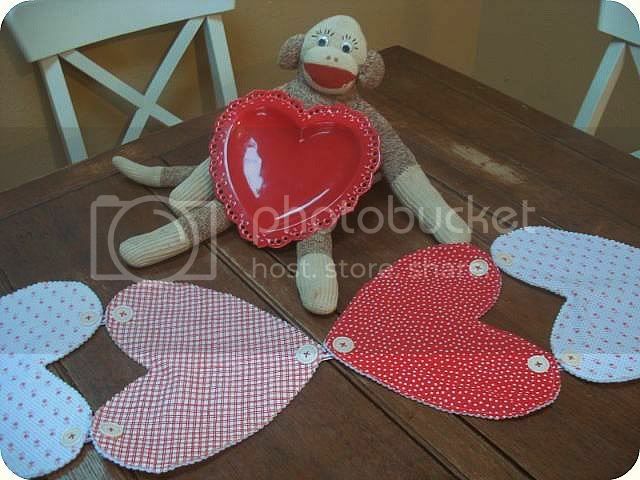 It table runner. I think it would be great as a banner or Garland. Thanks for the tutorial too! Very cute and unique, I LOVE IT. Thanks for sharing. WOW... super cute...and easy too! Thanks for the tutorial!!! Cute idea! Thanks for the step by step photos!